Home » Diet » Top 5 Health Benefits of ‘Dry January’ and Beyond! You probably already know that the term ‘Dry January’ refers to a month in which one refrains from drinking any alcohol as a personal challenge. If you feel like you are drinking a bit too much or too often then this is the perfect way to reset your relationship with alcohol. It only takes three weeks (21 days) to break a habit, so this could be your route to happier, healthier drinking. Although this challenge can benefit you financially, this article focuses on 5 health benefits of taking part in getting dry, and of course, not just in January, but for any month or yep, even longer…read on for Top 5 Health Benefits of ‘Dry January’ and Beyond! Alcohol changes the brain’s ability to stay balanced and run smoothly. This could make you feel nervous and low or leave you sluggish and irritable. All of these effects may lead to you wanting to drink more and a vicious cycle -hard to break- can easily form to the detriment of your mental health. Give your brain and body a break for a month and see how it goes! 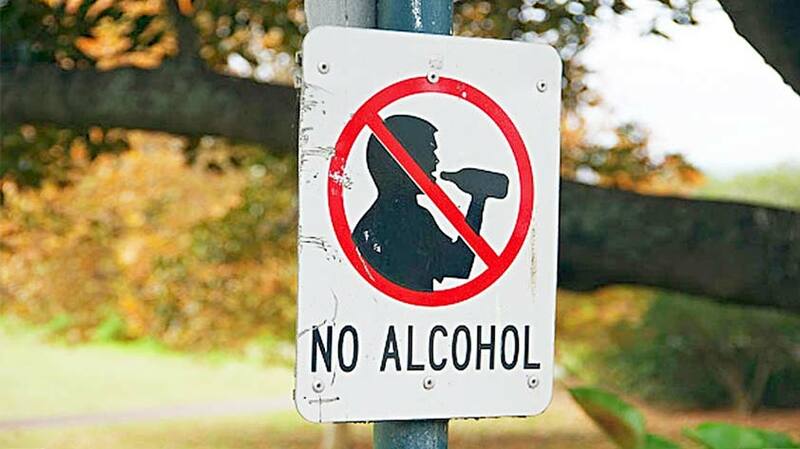 Alcoholic drinks are full of ‘empty calories’ meaning calories containing no nutrients. A pint of lager has the same number of calories as a large slice of pizza. Fat caused by drinking normally goes to your stomach, hence the term ‘beer belly’. This can be dangerous as it squeezes your organs and releases harmful chemicals into your blood, which can lead to dementia, cardiovascular disease and diabetes. Stopping drinking will keep your body fat under control and you may even shed a few pounds! After extended celebrations and parties, your skin can suffer. Unfortunately, it is down to the booze. Alcohol has an inflammatory effect on our bodies causing puffiness and redness to the skin. Breakouts more than not are linked to drinking, due to the high sugar content, which disrupts hormones and the gut’s microbiome causing an imbalance. Due to its diuretic effect, alcohol increases urine production, which can make you dehydrated and your skin look dull. A ‘dry’ month gives your skin a chance to regenerate, detox the sugars and rehydrate. 4. Sleep Like A Baby! One of the first things you will notice after giving up drinking is your improved energy levels. Regular drinking can affect the quality of your sleep as it disrupts your normal sleep rhythm and this can lead to fatigue and lethargy. A dry month will help you sleep like a baby and wake up feeling fresh with a spring in your step. Nutrients are required for the body to metabolize alcohol. Drinking causes the liver to decrease its blood supply of vitamins and minerals, with the bloodstream then called upon to replenish the supply. Drinking causes the body to be deprived of essential nutrients and as a result normal bodily functions may become impaired. A dry month gives your body time to build up your nutrient levels which will leave you feeling happier and healthier. Take part in a dry month (eg. a short one such as February which is just 28 days) this year and enjoy the numerous health benefits that will be yours. Have you recently stopped drinking alcohol, how is it going? If you’re thinking of giving booze the boot, this program Alcohol Free Forever actually teaches you how to stop drinking and stay sober for the rest of your life. Feel free to comment on this subject below, join in the conversation on Facebook and follow us on Twitter & Instagram. 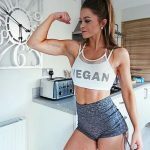 5 Vegan Women Who Lift! What’s stocked in a New Vegan’s Kitchen? Top 5 Health Benefits of Sage!